It's that time of the year again: the streets are filled with festive lights, the smell of mulled wine and biscuits is in the air, and Christmas melodies are all around. 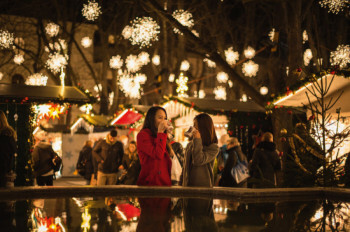 With Christmas time approaching, so are numerous Christmas markets. We want to show you the the most important ones to be found all around Europe. © stadt wien marketing gmbh Christmas Market in Vienna is situated on Rathausplatz. At Christmas time, Vienna's City Hall square turns into a little village of wooden booths. Vienna's Christmas Dream combines traditions with atmospheric attractions. From as early as the 16th November, around 150 booths enchant its visitors with sweet treats, creative gifts, and spicy punch. Choirs and tower brass bands fill the stage underneath the Christmas tree with cheerful sounds. © Ralf Schedlbauer/Stadt Nürnberg Every year, Nuremberg's Christkind inaugurates the Christmas market. 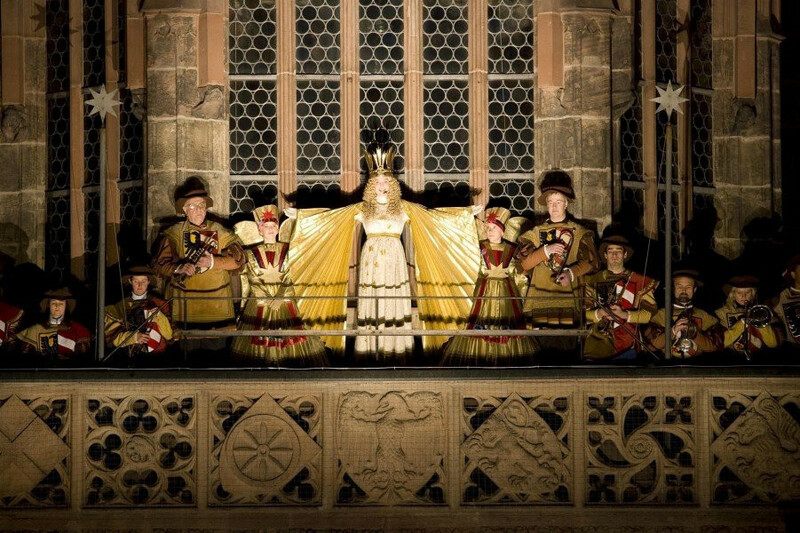 The Christkindlesmarkt in Nuremberg is one of the oldest and most famous in the world. At the historical backdrop of Nuremberg's Hauptmarkt with Frauenkirche and the Gothic church, about 180 booths attract visitors from all around the world with the typical Nürnberger Lebkuchen (similar to gingerbread), "Drei im Weggla" (sausages in a bun), and mulled wine. Last year, the Christkindlesmarkt counted a total of over 2 million visitors. Traditionally, it opens on the Friday before the first advent. © Eric Danhier Winter Wonder market in Brussels combines tradition and innovation. 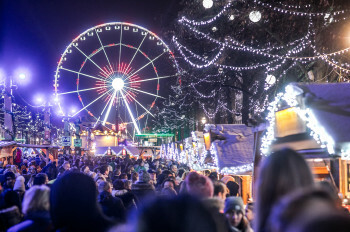 At the Belgium capital Brussles, it's Winter Wonders Market that gets you into the Christmas spirit. Along the 2.5 kilometres (approx. 1.5 miles) Winter Wonder trail, almost 270 booths boast a mix of tradition and innovation. The little wooden huts offer culinary specialities, crafts, and Christmas presents, while the giant ferris wheel and the large ice rink are popular among families. Light shows on St. Catherine Church's front and Grand Place as well as music performances complete the diverse offer. The market is open until January 6th. © Andreas Steindl Katschhof is the heart of Aachen's Christmas market. 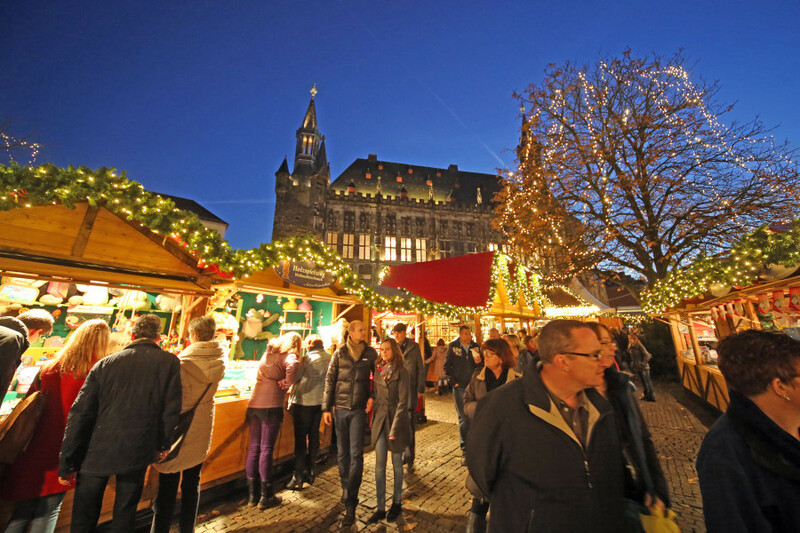 A family atmosphere and historical backdrop wait for you at Aachen Christmas Market. Framed by the cathedral and the historic City Hall, Katschhof is the heart of this market. Enjoy mulled wine, and treats such as the typical Aachener Printen (local kind of gingerbread). Festive concerts, puppet plays, and booths with crafts get around 1.5 million visitors into the Christmas spirit every year. CC BY 2.0 © Dierk Schaefer Christkindelsmärik is one of Europe's oldest Christmas markets. The Christkindelsmärik in Strasbourg is one of the oldest Christmas markets in Europe. It is known mainly for its abundance of ornaments and crafts. The market stretches all the way through the old town and its lanes. The centre is the large Christmas tree at Place Kléber, where all routes merge together. 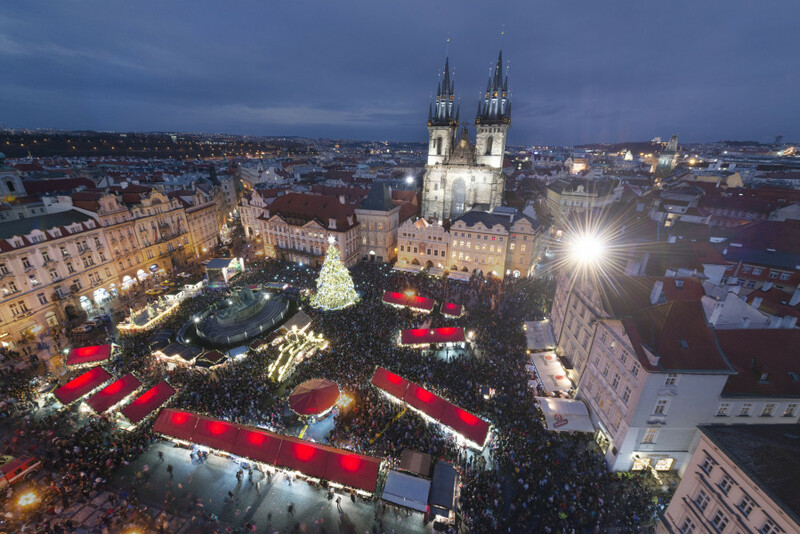 © Prague City Tourism One of Prague's Crhistmas market is situated right at the centre at Old Town Square. The Golden City is home to a number of Christmas markets. The most popular on is the Christmas market at Old Town Square, at the centre of Prague. At Christmas time, the famous square with its Astronomical Clock boasts christmassy treats, Czech crafts, and a giant Christmas tree. 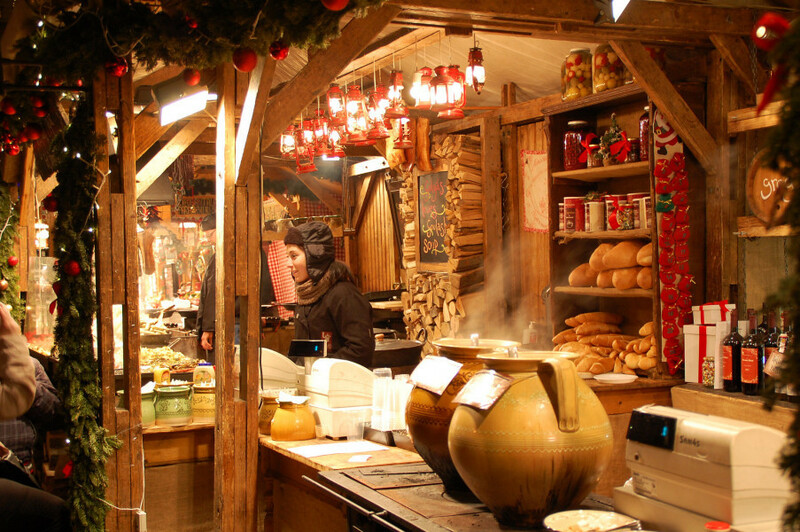 Traditional sweets such as trdelník, chestnusts, grog, and mulled wine get you feeling all festive. Children love the lifesize nativity scene. 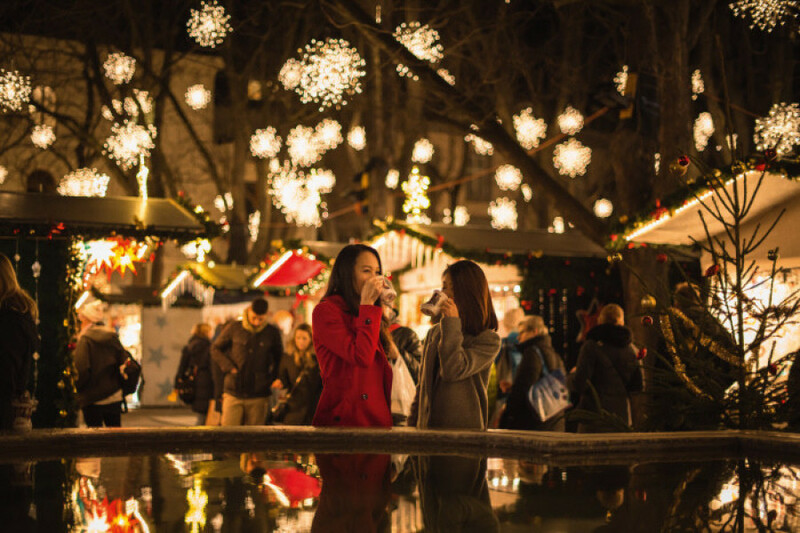 © Switzerland Tourism/Andre Meier Basel's Christmas market is embedded into the historic city centre. 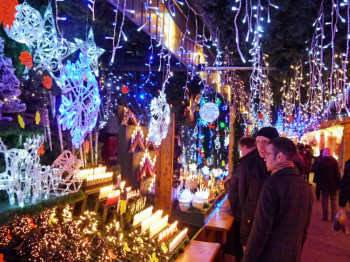 Switzerland's biggest Christmas market can be found in Basel. Embedded into the historical old town, Münsterplatz and Barfüsserplatz glow in magic Christmas light in December. Around 180 booths with a diverse offer are situated around the large, decorated Christmas tree. Waffles, mulled wine, and delicous Swiss Raclette take care of your every culinary need. Further treats can be found in Sennenhütte at Claraplatz. 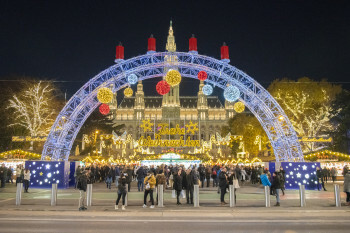 Budapest's Christmas Market at Vörösmarty Square is one of the biggest in Europe. From early November on, the square turns into a festive town of booths, smelling of sweet Kürtőskalács, langos, and mulled wine. Over 120 booths feature handmade presents such as wooden toys or knitwear. A jury decides on who gets to offer their goods at the market. Hence, it's not staple goods but handmade Christmas products you will find here. © Jeppe Wikström/mediabank.visitstockholm.com In Stockholm, the Christmas market at Gamla Stan is called Julmarknad. 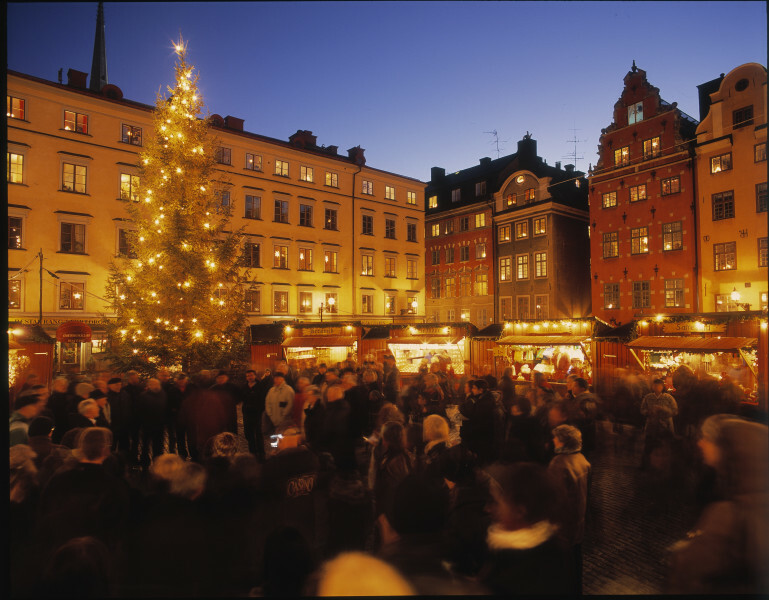 Maybe the Christmas Market in Stockholm is not the biggest one on our list, but it certainly boasts a unique and traditional atmosphere. The typical red wooden booths lure visitors into the lanes of the old town, the so clalled Camla, with Swedish treats and hot Glögg. Merchants from all over Sweden sell crafts and handmade Christmas decorations. Christmas markets also take place on the other islands of the Swedish capital.